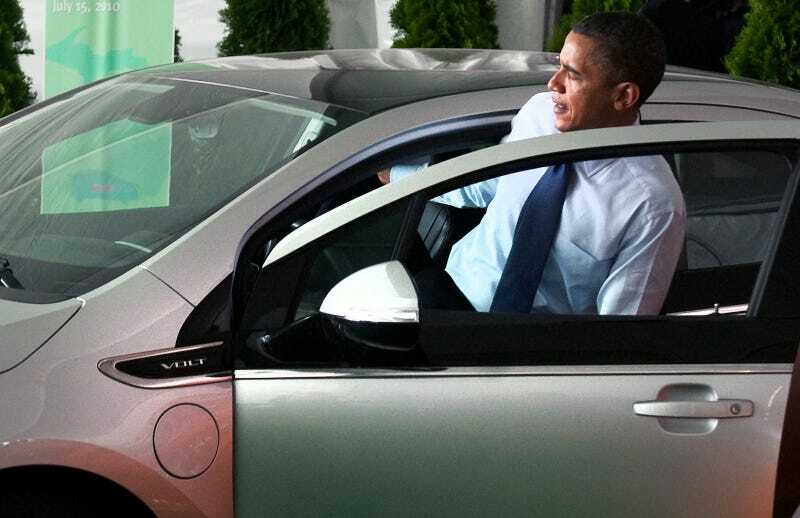 U.S. President Barack Obama gets out of a Chevrolet Volt following a groundbreaking ceremony in Holland, Michigan today. He reportedly asked "When can Americans buy one?" We already did, Mr. President. We already did.